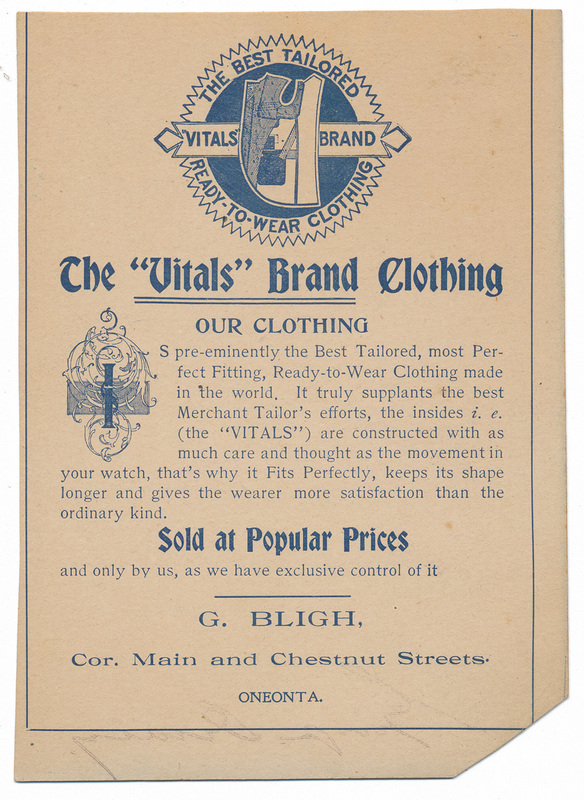 Here's a strange old trade card - one side features a portrait of George Dewey, the other advertises the G. Bligh shop in Oneonta, which features the "Vitals" Brand clothing. 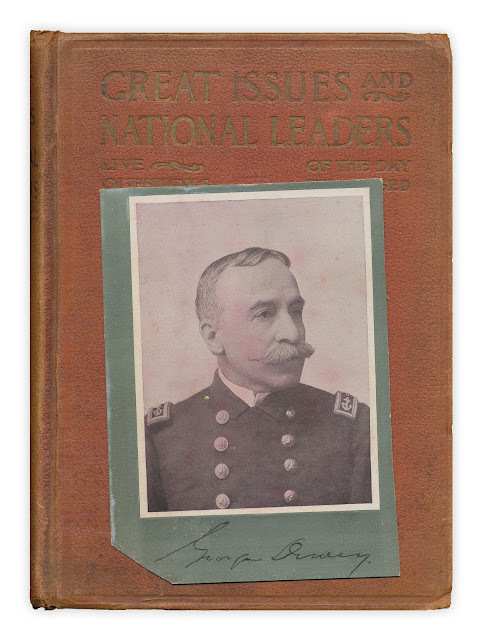 Found in "Great Issues and National Leaders: The Voter's Guide for the Campaign of 1900" by Charles Morris and Edward Ellis. Published by Winston, 1900.